First published in the UK and Commonwealth by Abacus and in the USA by Grove Atlantic Press Paperbacks in 2005. An updated paperback UK edition was published December 2006. 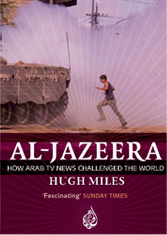 Al Jazeera has been translated into French, Chinese, German and Japanese.